The waning population of Isle Royale wolves are in the news once more. In 2009, there were 24 wolves left in Michigan’s Isle Royale National Park. By 2013, there were nine. This year (2015), there are only three – two adults and one deformed nine-month-old pup. The big question facing ecologists and the National Park Service is what should be done, if anything?? Unlike wolf populations elsewhere, no one is killing the Isle Royale wolves. Mother Nature is just doing her thing. I related the full story about this wolf population’s apparent demise in one of my blog posts where I asked my readers to consider whether ecological intervention is necessary. land only when an ice bridge forms. In the past, that ice bridge was the means by which wolves, and their prey (moose) moved onto and off the island. However, in recent years, with a warming climate, the ice bridge existed only on rare occasions. Gradually, the wolf population decreased as wolves either died or, when the bridge did exist, more wolves moved off the island than onto the island. 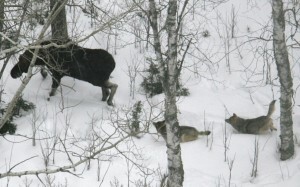 With fewer wolves, the moose population has increased causing overgrazing of the island’s balsam trees. 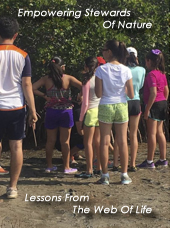 What does all of this have to do with connections in Nature – the basic theme of this blog site? We’ve noted that conservation is the act of identifying and protecting connections in Nature. 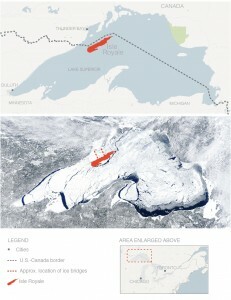 The connection, in this case, is the ice bridge and how it affects all of the other interconnections within the island’s ecosystems. Some have argued that mankind’s activities have caused the climate change that is melting the island’s ice bridge. These people go on to state that man must move more wolves onto the island to compensate for mankind’s errant ways. In this case, I would argue that there have been many climate changes before the arrival of mankind. We have no idea if the misdeeds of man are the cause of the melting ice bridge. It could be that Nature is simply occurring and evolving as it always had. 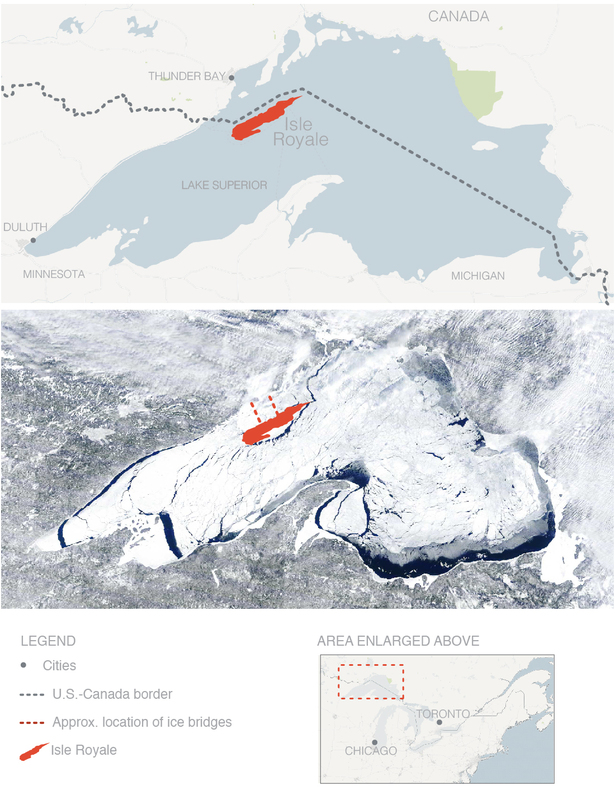 Some scientists say that, to compensate for the lack of the ice bridge, humanity must supply more wolves to Isle Royale to keep the Moose population in check and prevent the destruction of other ecosystems on the island. I would argue that we need to stop fiddling with Nature and let her run Her course as She sees fit. As I have noted in other blogs, ecosystems are complex systems that, by their very nature, are unpredictable. Despite our arrogance, it is impossible for us to predict what will happen when we tinker with Nature. The Isle Royale situation offers us the opportunity to observe Nature as She moves on Her own without human interference. It is a great research opportunity to examine what does happen when we keep our fingers out of the pie. I laud the Nation Park Service for taking a “wait and see” stance rather than blindly move a new group of wolves onto the island. I quickly note that the Isle Royale wolf story is very different than the wolf story at Yellowstone National Park where wolves had been systematically eliminated by mankind. With the Yellowstone wolf restoration program we have learned a lot about our mistakes of the past and the value of top predators. 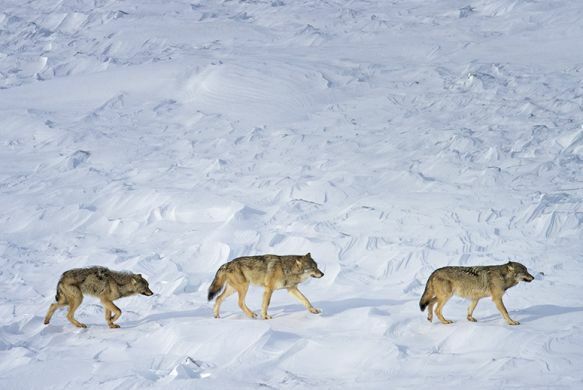 In the case of Isle Royale, no purposeful elimination of the wolves has taken place. Instead, what has taken place is because of Nature instead of because of mankind. Should we dabble or let Nature take Her course? Tinkering with Nature’s connections means entering the unknown. Because it is impossible for us to predict the outcome of an effort, the expected results are not certain. Letting Nature take Her course is sometimes called “passive ecology” or “passive restoration” . It means simply allowing natural succession to occur in an ecosystem. Good passive conservation practice calls for mankind to first restore any damage caused by humanity. Then, let Nature take over. In the case of the Isle Royale wolves, there is nothing to restore. The ice bridge is a product of Nature. The reason for the coming and going of this ice bridge is unknown. The melting and freezing cycle could have been caused by man made global warming or it could be a normal cycle of Nature. When we don’t know, we best leave things alone. Instead of trying to control Nature, we need to focus on controlling ourselves. What do you think? There are numerous online articles about the Isle Royale wolves. Here are a few recent offerings. Only Three Wolves Are Left in This National Park. Patterns In Nature: Is Isle Royal A Case For ecological Intervention? Excellent post, Bill, with a good discussion of the conundrum of “should we or shouldn’t we?” I agree that the best restorer of natural processes is nature herself. It seems that the universities and agencies have been predominantly hiring engineers and managers (“fixers”) who rush in to fix a problem, without a good understanding of how the system works or the consequences of “fixing” it. Thanks Chris: Good to hear from you again. I truly wish university level life science programs would start teaching systems science using the language of the biologist. In doing so, I think the “fixing” world view (man trying to control Nature) might evolve into the more holistic worldview of letting Nature do Her own fixing. information is what the public lacks to make decisions about the island. if man is to blame for the wolf decline, likley not climate but past park service and tourist involment. Hi JC: Thanks for your comment. My view is that there is a lot of information available about the island and the history of the wolves. 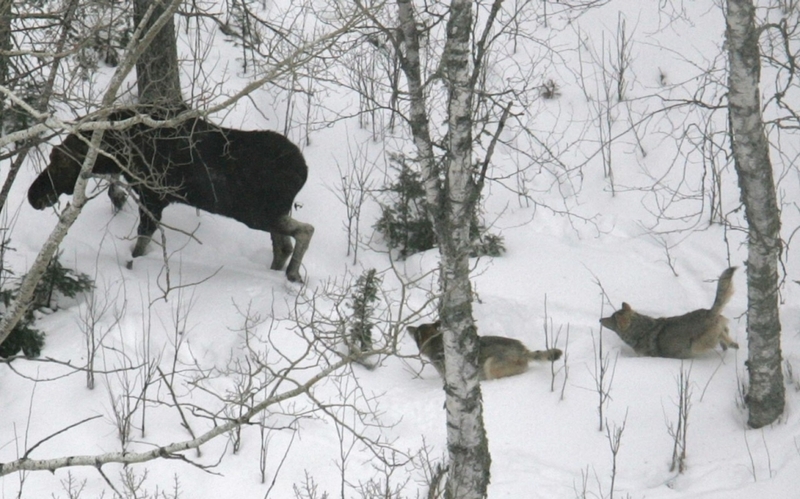 Much of this comes from years of research about wolf/moose interactions. The island is a designated wilderness with controlled human involvement. Consequently, many of the things that we normally associate with human effects on an ecosystem are absent. This is what makes this issue interesting. Here we get to clearly see two connections in Nature — the ice bridge and the wolf/moose ecosystem. These two connections are monitored regularly by competent people. This is a rare situation where we have good information about definable connections. 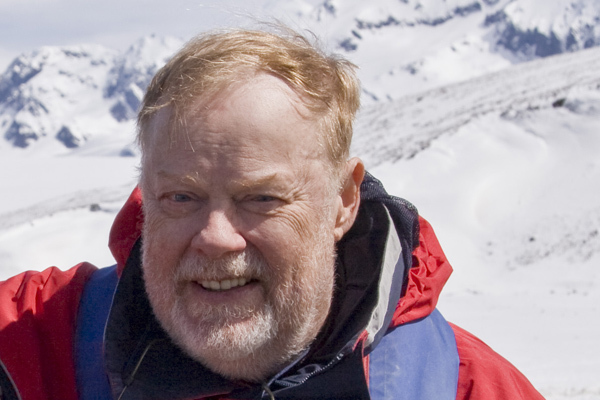 Considering the way global warming is causing ice to shrink around the world at an exponential rate, there is precious little reason hope that the ice bridge will ever again be a reliable feature of the island’s ecology. Why, then, would anyone consider restocking the wolf population when the island cannot support them? The factors that decimated the original population will duly cause the restocked pop.to likewise suffer and die from an unforgiving habitat. I completely agree !!! It seems to boil down to a combination of the National Park Service bureaucracy and two highly respected scientists who feel that they can eeek out more information from a highly changing and rapidly closing ecosystem. I’m curious. As the winter of 2018 ends (though it doesn’t look much like spring from the Soo), is there any updates on the Isle Royale wolves?